Crittersitca helps to learn all the skills and knowledge required to train your dog correctly. The articles below provide the best and safe tools for dog training. 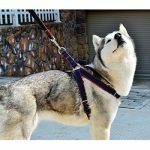 Guide and reviews provided to select the best dog training equipment like collars and leashes with safety, handling effectiveness as well as comfort kept in mind. As a dog owner, you must train your dog to be obedient and well-disciplined. Furthermore, you get advice from professional dog trainer on obedience training at Crittersitca and provide a search engine service for finding the best dog trainer for you. Useful Tips on the basic dog training schedule, commands, and techniques to train your dog well with being stress-free. 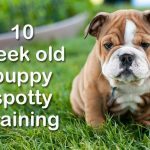 An ultimate potty training guide for your 10-weeks old little pup. Helpful and handy tips on keeping your dog neat and clean as hygiene is of utmost importance. So, you can learn the basics of litter and potty training your dog at Crittersitca. The articles listed below will enlighten the awareness required to keep your dog free from behavioral issues like chewing, licking, biting and eating stool that might harm your dog’s health.